This came as a surprise given the number of downed trees and power lines in the area. All ways of getting into and out of the neighborhood were blocked for several hours. Despite the damage, we were able to live in our home while repairs were made. These repairs included a new roof, all new siding and a rebuilt deck. If our house had been more severely damaged and/or we lived a few miles outside of town, we’d have been in a different situation. You can easily assemble a basic emergency kit based on government recommendations. 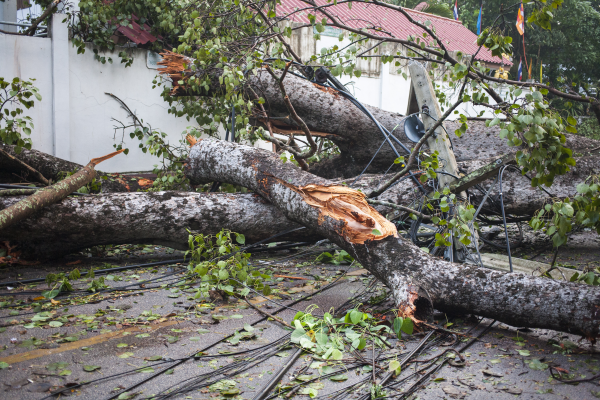 However, if you have the money and storage space, here are a few more expensive items to consider stocking in case a natural disaster hits your home. Some of them aren’t nearly as pricy as you might think, and you can probably keep everything in a closet or the corner of your garage. Amazon sells a variety of home emergency kits, including some that include several days worth of food. One downside to these, besides the cost, is that even nonperishable food doesn’t last forever. Eventually, you’ll need to eat the food and buy another package. Here are a few options. 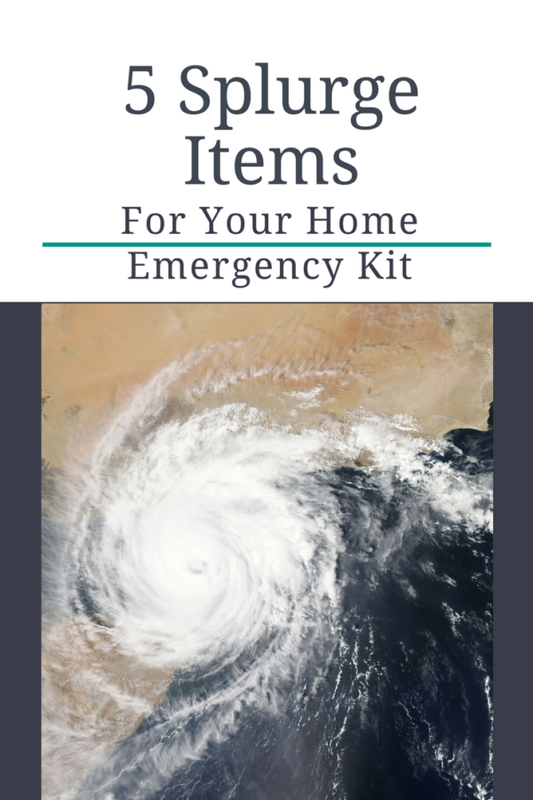 You can also assemble your own emergency food kit with store-bought items that keep for years such as canned chicken breasts, Vienna sausage, tuna salad lunch kits, Pop Tarts, powdered milk, and baked beans. Don’t forget to keep some water on hand as well, and extra food for your pets. A gas generator can keep necessities such as your refrigerator and HVAC working until power is restored. You can find decent generators costing anywhere from about $300 to $5000 or more. You may also need to hire professional assistance to hook up the generator to your electrical system and gas line. Here are a few gas generator options. A window air conditioner might come in handy if you have power but your air conditioner was damaged in the storm like ours was. If a disaster happens during warm weather, window air conditioners may be in very short supply at local stores. HVAC companies will be very busy and might not get your a/c repaired for several days. You’ll want to get a window a/c unit large enough to cover the room where your family is likely to spend the most time. If you live in a warm climate and your a/c goes out anytime between April and October, you’ll be really grateful for one of these window units. Large blue roof tarps were in very short supply after the tornado hit our house. One of our priorities was getting someone to tarp our damaged roof before it rained again, and that was everyone else’s priority, too. Hundreds of houses in the area suffered damaged roofs and siding. You can pick up a few large tarps at your local home improvement store. They’re not terribly expensive and don’t take up much space. An extra standard size trash can might also prove helpful in case of a hurricane or tornado. Both of our city-provided trash cans blew away in the storm – though they were heavy and partly filled with trash. Fortunately, the cans made their way back to us when neighbors went looking for homes for the extra cans that ended up in their yards. If they hadn’t, we’d have been in dire need of somewhere to put the several bags of debris picked up from our lawn. 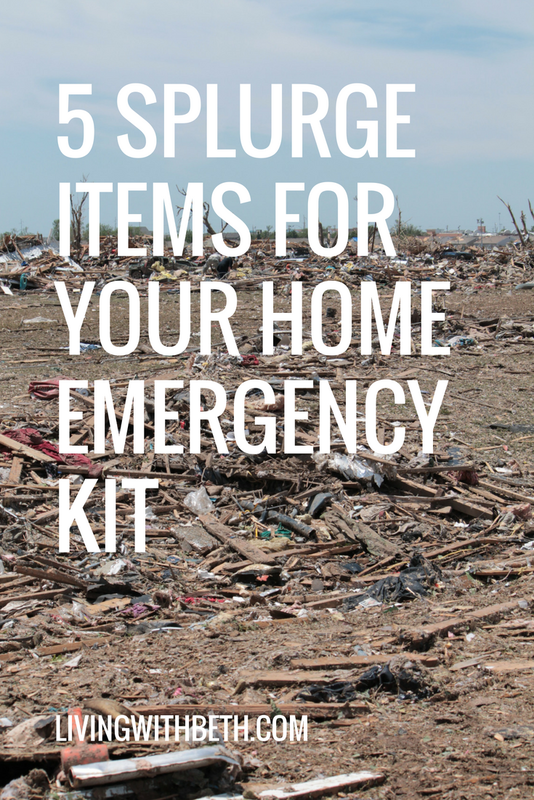 What do you keep in your emergency kit that isn’t on most people’s lists? 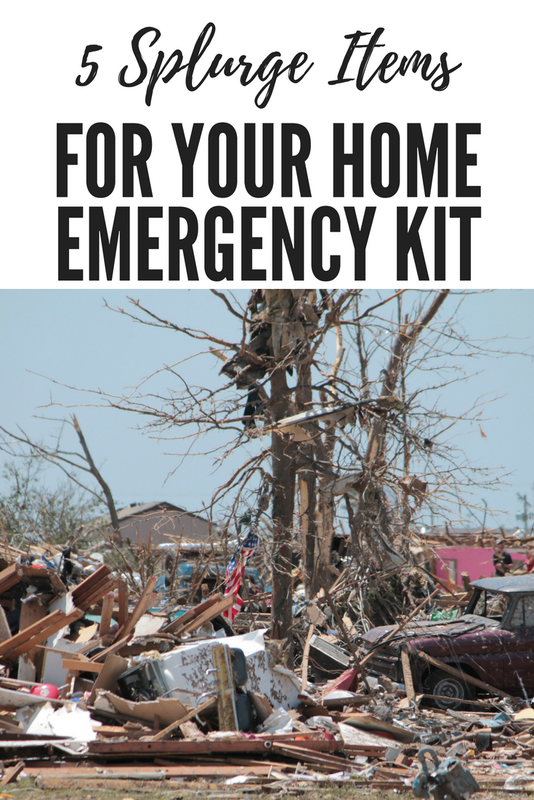 Thanks, I’ll make sure to buy all of these home emergency kit items for my new house. These things are a necessity out here in hurricane land.